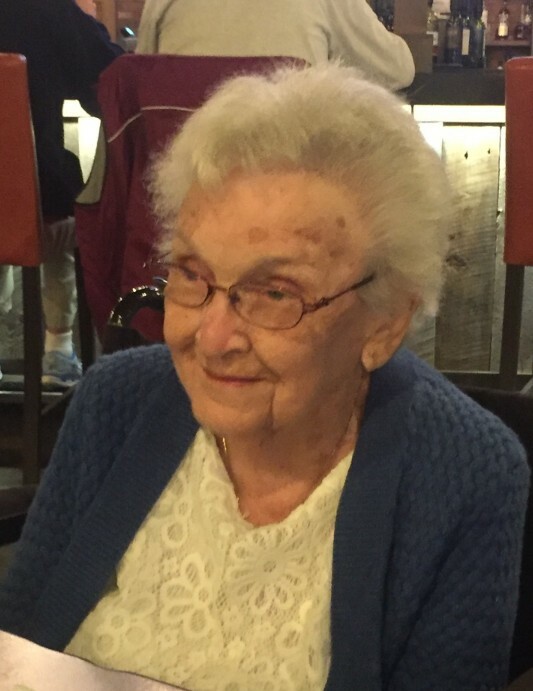 Newport, NH - Hazel V. (Connell) Brown, 91, of Linden Avenue, died on March 16, 2019 at The Seasons at Summercrest. She was a native and lifelong resident of Newport, born at home on November 20, 1927, the daughter of Walter Leo and Josephine Mae (Morris) Connell. She was one of eight children. Mrs. Brown worked at International Shoe and also for Newport High School in the cafeteria for 13 years. She enjoyed being a stay-at-home Mom and would babysit children in her home. She was a past member of the Women's Catholic Club and had been a hospitality minister at St. Patrick Catholic Parish for over 30 years. Her family was her pride and joy and she enjoyed being with them and playing cards and other games. Mrs. Brown liked to work in her flower garden and she loved to read. She and her husband traveled to Alaska one year and also went across the country in their motor home. Hazel was recently predeceased by her husband of almost seventy years, Robert Earl Brown. She is survived by her daughters Donna, Sandy and Robin and their families. She has six grandchildren and three great-grandchildren. A Mass of Christian Burial will be celebrated on May 20, 2019 at 10 AM at St. Patrick Catholic Parish in Newport, NH with a burial to follow in St. Patrick Cemetery, where both she and her beloved husband, Bob, will be laid to rest. Memorial contributions may be made to the St. Patrick Memorial Fund, 32 Beech Street, Newport, NH 03773 or to the Newport Senior Center, 76 S Main St, Newport, NH 03773. There's still time to send flowers to the Mass of Christian Burial at the St. Patrick's Church at 10:00 AM on May 20, 2019.